Fall is a great time to get out there and run! Hope your hip feels better! 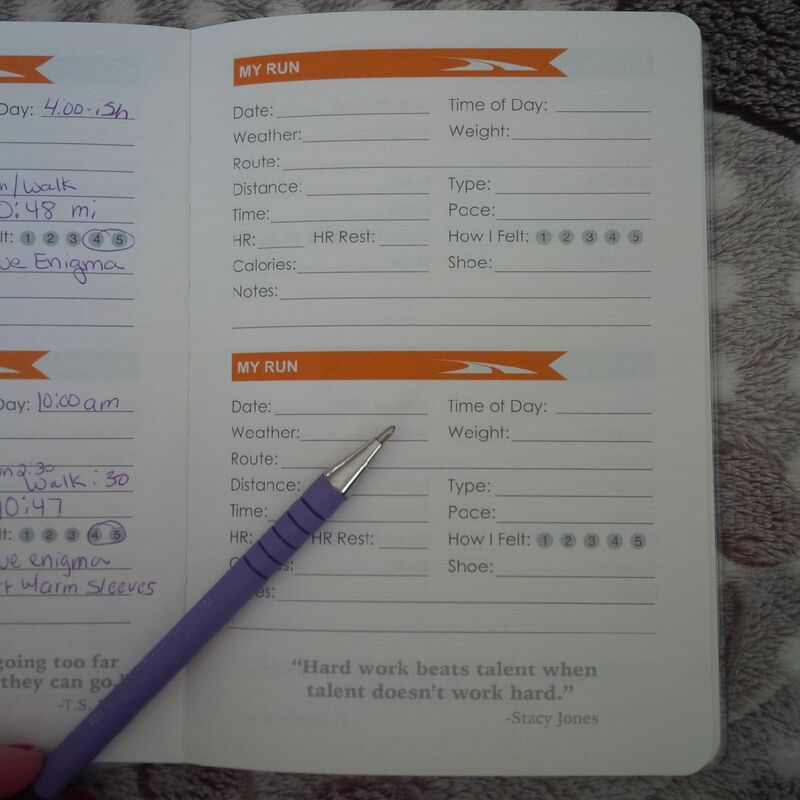 I love having a running journal too for my marathon training. I am scared of being injured so I am being careful. This is my first marathon and I want to be able to do it, in good conditions. So I have no time goal, I just want to finish. So when it comes to listening to my body, I do just that ! Glad things are going well ! That's how I'm running this time around, just listening to my body! I'm loving him riding his bike! I don't know why we didn't think of this technique years ago! So glad everything is going so well! Switching shoes can definitely be a little scary, so it's great you found a new brand that works for you. Sometimes I read back through my training journal like it's a novel, ha ha. It's cool to see the numbers! Happy long run this weekend! Oh my gosh, I do the same thing with my journal! I love remembering each run! To be honest, I haven't really indulged. I'm not very hungry after my long runs but when I do eat something I try to make smart choices! This post made me smile. I also am a total numbers nerd and am now working on my third running journal since a month after I started running. It can be very useful to look back at your training cycles when planning for another big race. So glad you are feeling better and the new shoes are working well for you. I really loved those Altras and it makes me sad that they just sit in the closet now. I am so comfortable with the Mizunos now and glad they are working for me too. I am glad there are several things that are making training fun for you! Having company on long runs is soooooo nice. I'm only training for a half but things I am enjoying: my knee hasn't been bad, weather is great, I have new shoes, and LOTS of good podcasts! I am actually saving one specifically for tomorrow's long run! 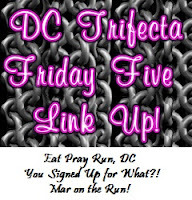 My sister just told me last night that she's been listening to podcasts on her run too! Cool! It really passes the time. And you can keep up with current events. I listened to a couple presidential debates while on a run. That's awesome that Scott has been going out with you on your runs. That sounds so nice! 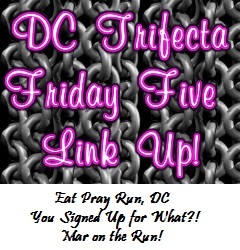 Good luck with the 12 miler this weekend. I'm not surprised at the title - I'm glad you are loving it. I have loved all my marathon training cycles - it makes me feel alive and badass, no matter how slow I am going. I started keeping track of the miles I run. I'm still not focusing on times, but writing down the miles in my planner helps me with other stuff. Glad to hear things are going well for you! I do log my miles thorough an excel spreadsheet I create when I put my training plan together. Helps me stay on track or at least know where to adjust! You give me hope with my knee pain... I'll get back to par... one day. I too have to ditch my other shoes and have discovered Mizunos! They are so great! Hopefully you will continue to love them! Oooh, I am jealous that you are still in shorts. It has gotten quite cold here in NH and we've even had a bit of snow! Glad things are going better for you! It is no fun when your shoes stop working for you! Just wondering what running journal do you use? 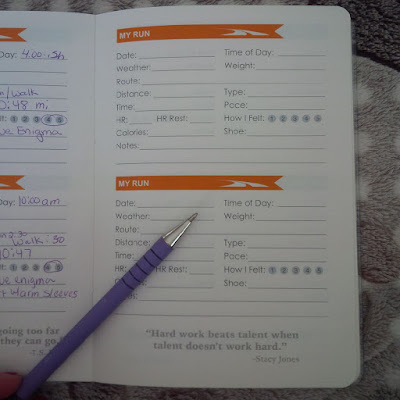 I use the Running Journal from Gone for a Run. I did a full review of all the features of the journal and why I love it. I will go look for it and send you the link. I've been loving this weather as well. Can we just bottle it up and enjoy it 365 days per year?!? I didn't laugh at your post title! I haven't been able to run a marathon since the fall of 2011 because of a back injury (I'd run 40 prior to that), and I have to admit that my Saturday morning long runs with my friends are the what I miss most. Good luck with your PT and knee pain. Hope it gets better soon. 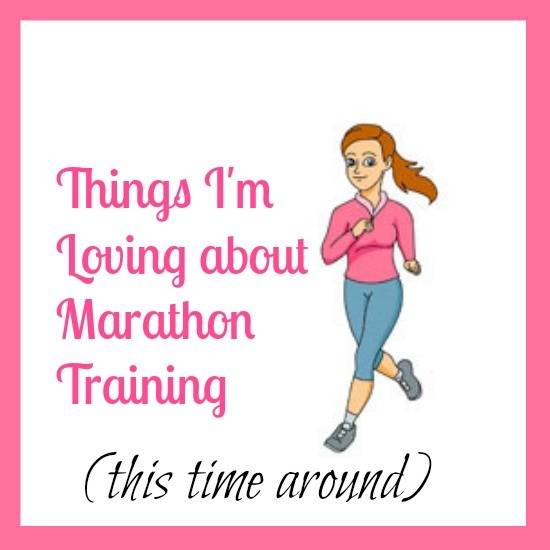 I didn't laugh at the title to your post because I actually like marathon training! Although my training this time around was pretty tough that I wasn't sad to see it come to an end. How great you're enjoying this training cycle! Fun is what it's all about so yay! The Enigmas sound really good! I always wondered how they were different from the Rider and the Creation. Love me more cushioning! I did wonder about the title of this post, but I'm glad there are things you really are loving. I love Mizunos and tried the Enigmas at a fun run this summer - they were cushy! It's so great that you are loving your training right now! That's the way it should be right?! I'm so glad your marathon training is going well. I may try the Enigmas when I start running again (hopefully next month) for the extra cushioning. Good luck with your 13 miler. Hope to see you in January! Fingers crossed. Glad you're having fun with it! This is my first fall in San Diego and I can't believe how warm it still is either! That running journal looks awesome. I've never payed enough attention to those details but I think you can learn alot and get better quicker by tracking. Journaling sounds like great therapy :) I enjoy that myself. I get some phantom aches too, and I get very nervous, it is so hard not to worry, but it is not healthy, so I try to just keep resting if needed and looking forward. I am glad you found shoes that are working well for you! I miss the padding in my Altra's but I feel the same way, I ditched them. I'm a total nerd too. I get excited to sit down with my running journal and document what I just did. It's like a second runner's high, lol.